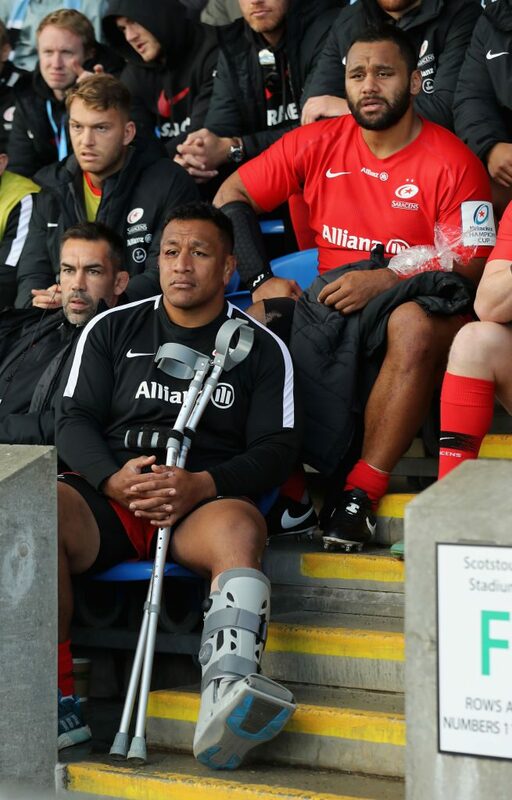 Saracens were left counting the cost of a hard-fought victory in Glasgow on Sunday and England coach Eddie Jones, about to name his squad for the autumn Tests, might share their pain. After his team won 13-3 in the European Champions Cup, Saracen’s director of rugby Mark McCall listed the casualties, and all of them England internationals. The Vunipola brothers, Mako and Billy, both limped off as did young lock Nick Isiekwe, who made his England debut last year. Two more forwards, Maro Itoje and Jamie George suffered broken noses. Owen Farrell, England’s regular goal kicker, was another casualty. “Mako’s is a calf injury, Billy’s an arm – but it’s too early to say how serious they are,” said McCall. “Owen Farrell got a bang on his knee but he seemed to be OK after the game. Nick Isiekwe hurt his calf or his ankle too and that’s why he wasn’t able to continue on the field. While Jones, due to name his England squad this week, might be wincing, Northern Irishman McCall was more concerned about the next Saracens game, at home to Lyon next Saturday. “It’s a bit of a worry,” he said.